We’re proud to announce that Re-Dock has been awarded £10,000 from the Heritage Lottery to develop a creative research project around the Royal Vauxhall Tavern in London. 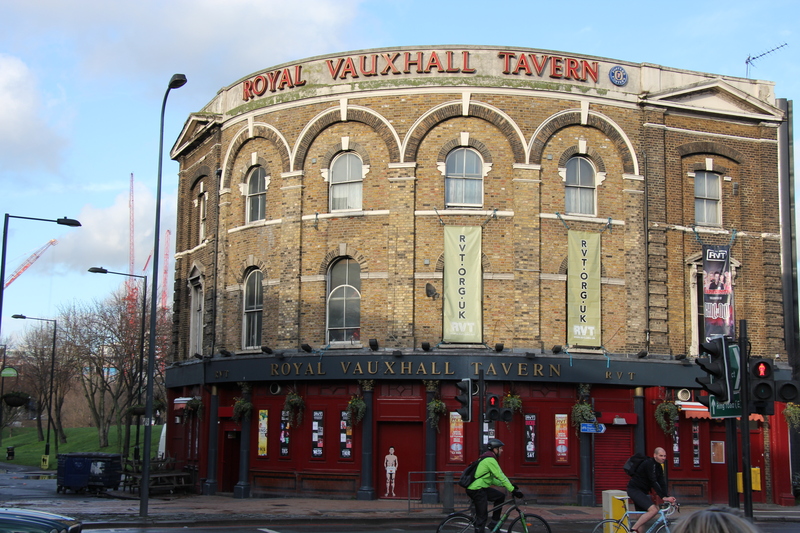 project that celebrates the Royal Vauxhall Taverns’ historic importance as a site for LGBT culture, innovation in entertainment and influence on wider British popular culture. Framed around the venue’s 151st birthday, it will enable participants to have the opportunity to share, reflect on and learn about the last 60 years of social change for LGBT people, and how this has affected attitudes and changed lives in the UK. Through the project, we will be collecting oral histories from a wide range of people with connections to the RVT, making a short film, collaborating with Duckie’s Youth Group on a performance based on the research, and creating a pop-up exhibition mapping key events at the RVT, the Vauxhall community and LGBT history. We’ll be posting regular updates here as well as on the project website which you can see here. Helo, I was wondering if you could tell me the contact information for the photo of the RVT shown with this article. Such a lovely image, would love to use it.